I realize roasted vegetables are typically more of a fall or winter thing. If you ask Ryan, he'd prefer to keep it that way...not because he has anything against roasted vegetables, but he isn't crazy about me turning on the oven in the heat of summer. Of course I see where he's coming from. It certainly doesn't make sense to heat up the house while simultaneously blasting the air conditioning, but I just can't quit roasted vegetables! We do our fair share of grilling veggies all summer long, and these could definitely be adapted to be made on the grill, but I couldn't resist going the roasting route. 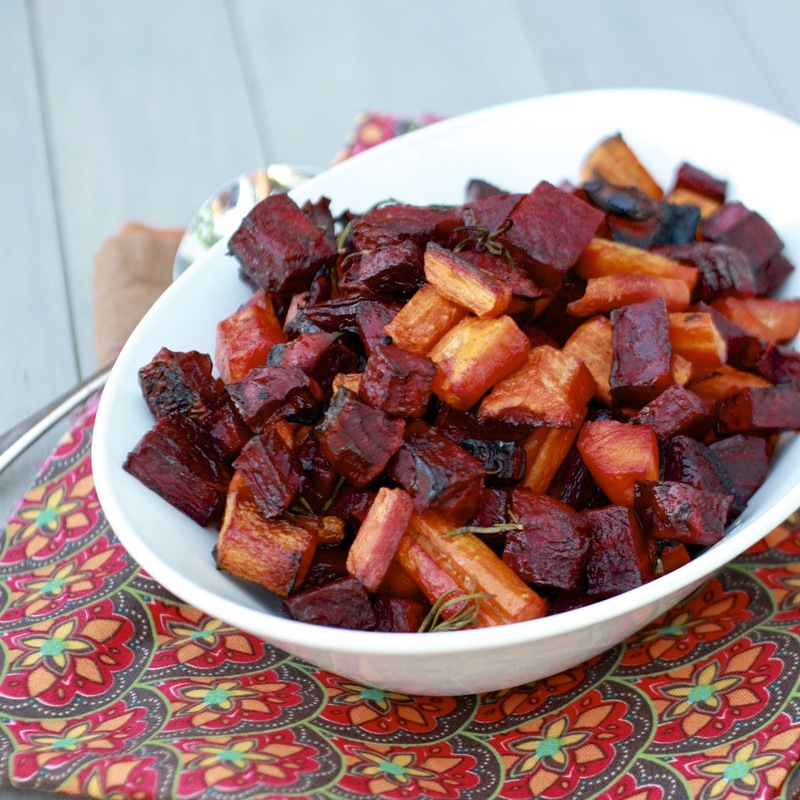 Roasted carrots are such a nice change from the raw baby carrots I eat most days, and as you've probably noticed by the number of beet recipes lately, I can't get enough of the vegetable! Rosemary is one of my favorite ways to season just about anything (bread. chicken. scones. nuts. you get the picture! ), and this side dish was no different! 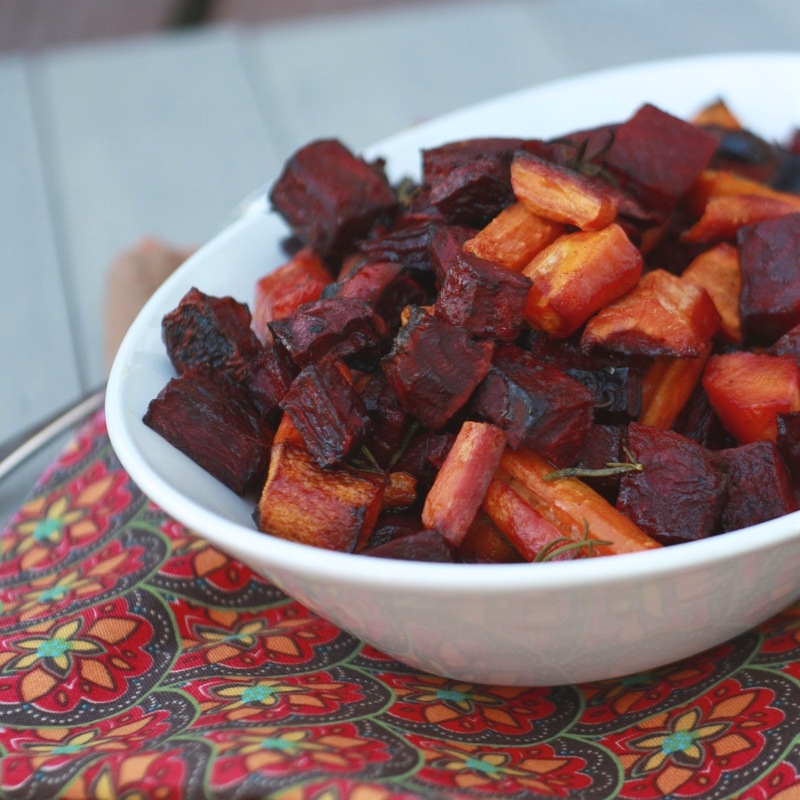 If you find yourself with a cooler summer evening, or you're willing to turn the oven on for a little while, you should definitely give these rosemary roasted beets and carrots a try. 1. Preheat oven to 450F. Line a rimmed baking sheet with foil. 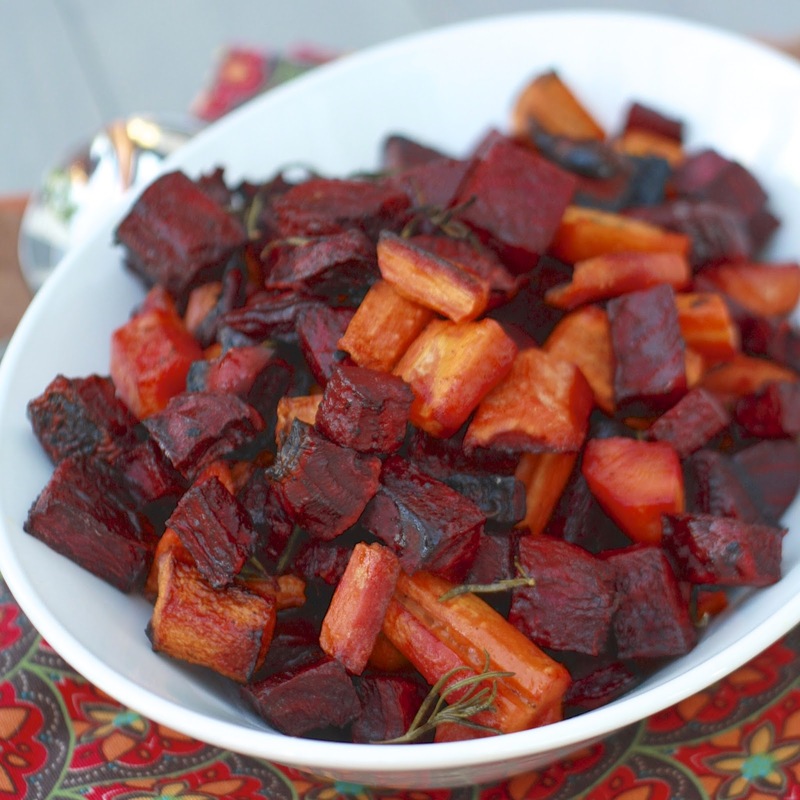 Toss the beets, carrots, vinegar, oil, rosemary, 3/4 tsp salt, and 1/4 tsp pepper on the prepared baking sheet. 2. Roast, tossing once, for 30-35 minutes, until vegetables are tender. Serve immediately.